Tea, in general, is rich in polyphenols that have effects like reducing inflammation and helping to fight cancer. 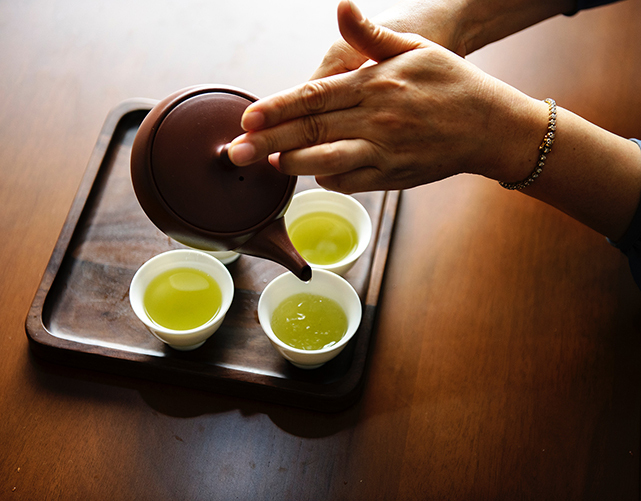 Green tea is about 30 percent polyphenols by weight, including large amounts of a catechin called EGCG. Catechins are natural antioxidants that help prevent cell damage and provide other benefits. Green tea also helps make you smarter and burns fat. Yes, it is true green tea is often found in the fat burning pills you can find at the drug store. Green tea, will not only help you lose weight but will boost your energy level as well. Would you like a refreshed, cleaner mouth and fewer dental worries? Drink green tea and you will have a better dental checkup! Catechins in green tea can inhibit the growth of Streptococcus mutans. Streptococcus mutans is the primary harmful bacteria in the mouth. It causes plaque formation and is a leading contributor to cavities and tooth decay. Drinking green tea will kill these evil mutans. These are just a few of the health benefits provided by drinking green tea. You can find out more information regarding the health benefits of drinking green tea. In conclusion, there is no better refreshing beverage than drinking green tea, and you will feel better, be more energetic, be less prone to disease, and be a smarter person just by drinking it!